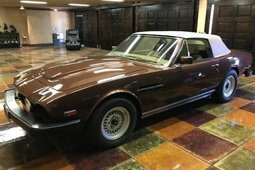 Aston Martin and Zagato teamed up again in 1984 to design and build a faster lighter sports car, by March the car was displayed at the Geneva International motor show . 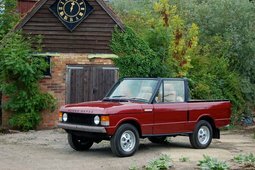 The car was sold out by the end of the show and the first customers were being handed their cars by July 1986. 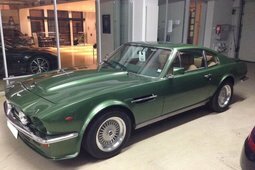 50 production coupe models were built in all, with the same wheelbase as the production V8, but with a shorter chassis length and running the X Pack Vantage engine, the car was a true sports coupe. This car was chassis number 20031 and was built and destine for Zubair Motors in Oman for their client who ordered the car finished in Gladiator Red with Tan trim. The car was used in Oman for a number of years and a few kms when it was involved in a front-end accident in 1988. (Photographs of the car are excisable). The car lay up in a garage for a while and was advertised in the same condition. Mr. Rene Bloom went to Oman to view the car in 1995 to see the extent of the damage. Photographs were faxed back to Aston Martin to prepare a rough estimate of the work. 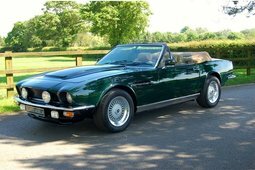 By September 1995 the car had been shipped back to Aston Martin where a full and detailed estimate was prepared. (Photographs of the work are excisable). By January 1996 work had commenced and Mr. Bloom decided to change the exterior colour to British Racing green, while the repair was undertaken. 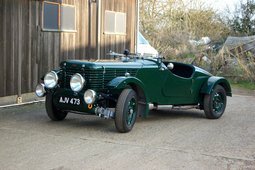 The car was completed by the end of 1996 and driven back to Holland where it was registered with Mr. Bloom. The car was then sold to the current owner in May 1997 with 7,800 kms on the clock. The car has been loved and cared for by the same owner since, using it for European tours and holidays. With only 56,000 kms on the clock the car sits and drives so well. 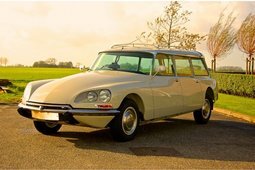 With only 20 of the 50 production cars built being left hand drive and one of only eight with automatic transmission, makes this a very desirable collectors motorcar and one, which can be driven with a smile.